A Tribute from a loving son . . . He was in 3rd Plt, Co A, 35th Engineer Combat Battalion. 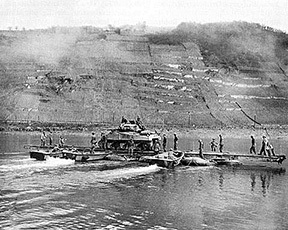 After an assault crossing of the Mosel, preparations were underway for the assault crossing of the Rhine. (The assault crossing took place at 0001 on 25 March 1944 just north <downstream> of Rhens.) Dad was attached to the 347th Regiment of the 87th Inf. Div. You might imagine the trepidation with the assault from all concerned. A night or two before the actual crossing, as my Dad phrased it, "Some crazy SOB crossed the river and painted "Kilroy was here." on the cement wall on the German side of the river!" The men he served with took comfort in that fact. "From the Rhine gate in the downstream direction of the Rhine. 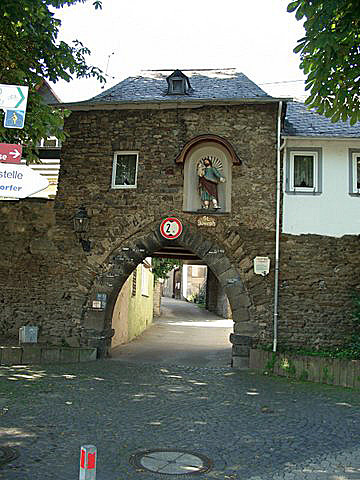 The Josephstor (Josephs gate) is smaller than the Rhine gate and never had a Tower. A simple wall gate which, for security reasons, was bricked up during the thirty years period, as this passage did not hve to be used in times of necessity: the area behind the gate was at the time barely exploited. Until 18th century the gate had a gate House, at the second floor at the Rhine side in a wall cavity the statue of St. Joseph, an 18th century addition, the gate was formerly known as "Untere Rheinpforte". Another long forgotten name which was still used in the early 20th century was "Pützgassertor" (free translated: stucco alley gate)." 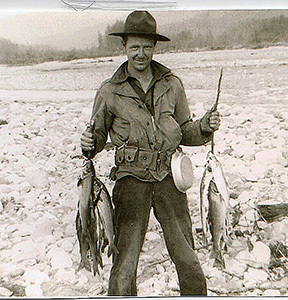 My Dad either spoke of the positive aspects of his military experience or spoke compassionately of others. He did not know, nor would he have cared that he was entitled to two Presidential Unit Citations, Belgian Croix de Guerre, Luxembourg Croix de Guerre. This behavior, that his three brothers, all in the Army, all in the Battle of the Bulge, also exhibited  as I am sure many veterans did as well. My Dad died unexpectedly in an accident in 1991. I was very close to Dad, but the only time he spoke of the grim aspects of war was when one of his "Army buddies" came by. 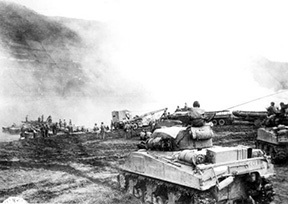 35th ECB 87th crossing Moselle from "Last Offensive"
(Lee) Ridenour was in my Dad's Company (A). The pic is after the assault crossing of the Rhine at Rhens, the west bank of the Rhine behind, landing on the east bank. 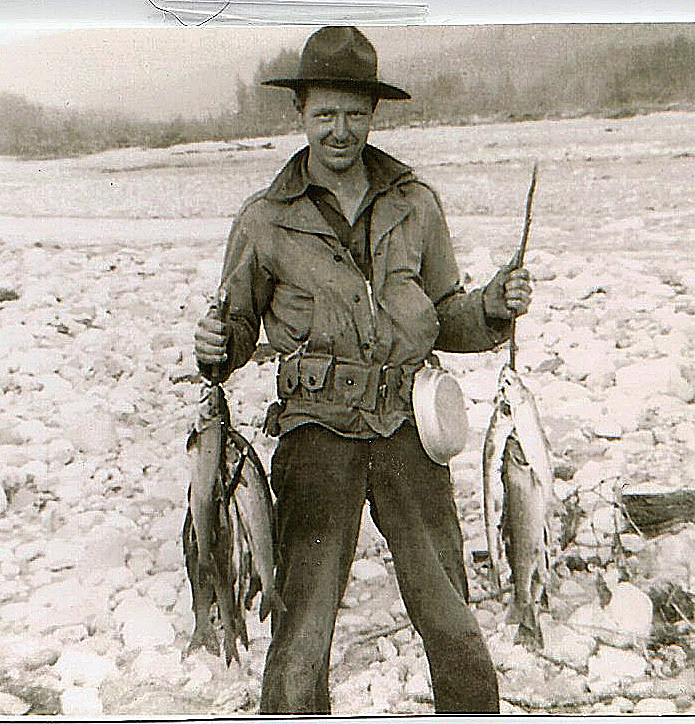 Dad fishing during "paid vacation" construction of Alcan Highway (1942) as a combat engineer.